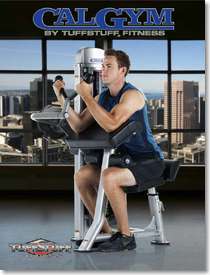 Tuff Stuff Pro Performance plus is ideal for fitness gyms, clubs, colleges, university and more. 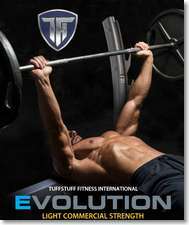 Proformance Plus commercial strength series by TUFFSTUFF FITNESS INTERNATIONAL combines 43 years of engineering excellence with modern visual styling to deliver a collection of equipment designed to exceed all expectations. Striking design elements, superior biomechanics and modern aesthetics blend seamlessly to create a line of resistance equipment that embodies an only-the-best-will-do philosophy with Made in the USA quality. 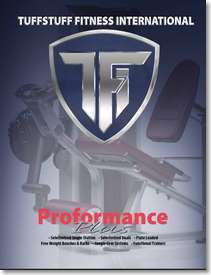 When you are ready for high performance strength equipment that delivers professional results and exceeds your expectations, you are ready for Proformance Plus!. Evolution light commercial strenght line.Since it's inception in 1971, TuffStuffs design innovations and construction has always included commercial grade components and materials for use in facilities such as: Hotels, YMCA's, Multi-Family Living, Colleges and Universities. 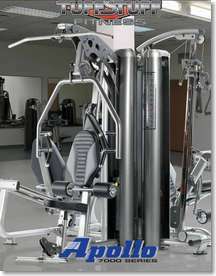 Arizona Extreme Fitness will deliver and setup your selected Tuff Stuff Commercial Gym Systems equipment in Prescott, Flagstaff, Sedona and Phoenix, Arizona at your location! Come on in and browse our 3000 sq ft warehouse showroom in Prescott Valley, Arizona and try before you buy or if you already know what you want just call us for our best price and we will deliver or ship it to you depending on your location in the USA. 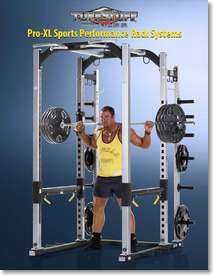 We sell, deliver, setup, install and service the above Tuff Stuff Commercial Gym Systems Equipment.